Hey guys, my name is Laura and I write the blog Love & Liquor. 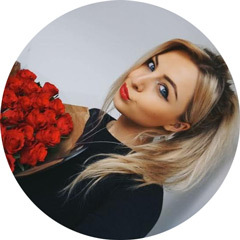 I am really excited to have been given the opportunity to write a guest post for Kayleigh's amazing blog while she's away, and today I have decided to go with a sskincare themed beauty post. I recently had the opportunity to attend a blogging event at my local Body Shop, and managed to take samples of both of these products away with me. I was tempted to buy both full-size, but I wanted to check how they performed on my often sensitive and regularly dry skin. Needless to say I fell in love the moment I tried them, which resulted in a swift purchase of both. I'll start with the Sumptuous Cleansing Butter (£12), which I believe to be a dupe of the Clinique 'Take Off The Day' balm. I was initially put off by the fact it was a camomile scent, but once I unscrewed the tin lid, I was surprised to find it actually smelt really subtle and almost calming. It's not at all overpowering, so if you aren't fond of heavily fragranced products, don't be put off. The texture is pretty thick and actually quite hard, I find it works best once I have warmed it up in my hands. It works wonders at removing all traces of makeup, and I simply rinse it off using a face cloth. But the real reason I adore this product is because it leaves my skin feeling (and looking) incredible. I have yet to come across a product like this that can leave my skin feeling so soft and clean. I usually have to double cleanse, but I find that this does the job all by itself. Now onto the Silky Cleansing Oil (£10). The fact that this is an oil did put me off completely when I initially came across it; I have never found a face oil that agrees with my skin. But, after being so impressed by the sample, I thought it was worth a shot. Again, the scent is barely noticeable, and actually quite refreshing. I apply this using cotton pads, and it instantly feels like such a treat for my skin. It did take a little getting used to, but now I have found my preferred method, I really enjoy using it. The biggest surprise for me is the way it cuts through waterproof mascara with very little effort. I like to place cotton pads over my eyes first, to really let the product sink it, but after that, the oil does all the work! I also like to rinse, again with a face cloth, just to take off any residue. 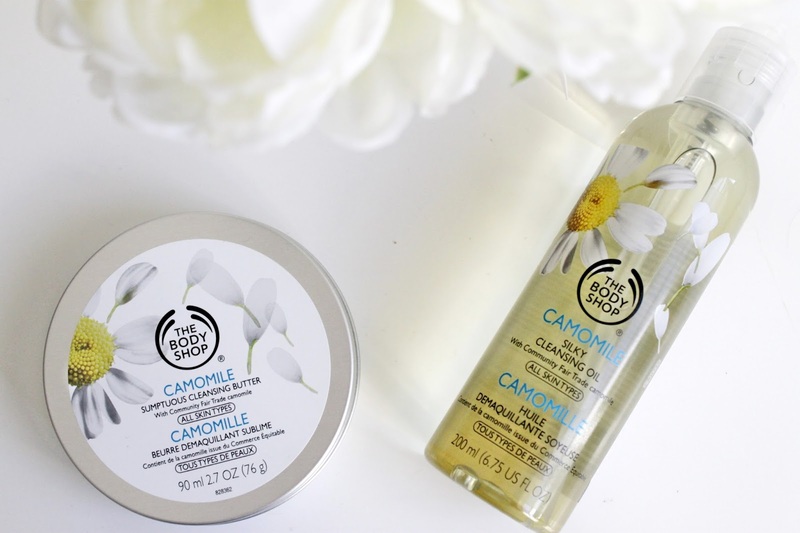 Overall, I am super impressed with the Camomile range, and I am so glad I picked them up. Have you tried any of the products from this range? I've been meaning to try these for a while, they sound great! Heard so many good things about this range! I've heard amazing things about both of these and I'm now waiting for my current cleansers to run out so I have an excuse to buy them! Ive needed these in my collection for a while I may need to take the plunge! I have the Silky Oil and I really like it. I use it with my hands, but I''ll try with the pads tonight! Seeing as these are pretty new products to me, I've heard a lot of great things heard about this today - coincidently! I heard the Oil is especially good! Great review, and I shouldn't be reluctant about the Camomile scent! I've never read a bad review of these. I was actually really tempted by the cleansing butter but I was thinking about reading up on it and now I have I think I shall be going back for it cos I used the Lush cleansing balm and I believe the BodyShop one is better value for money. Thanks for the review sweetie. I've used the eye makeup remover before from the range and highly rate it! I've tried the Silky Cleansing Oil before and I love it! It leaves my skin feeling so soft. I recently bought both of these as well and I also love them both. I really love The Body Shop for skincare (especially the Vitamin E range) and I think it's really underrated.